If you are handing out identification to employees or team members, then you should consider the importance of providing each person with ID card holders to make it easy for them to keep track of their ID cards. Many companies order the cards but fail to provide card holders, which increases the likelihood that the card might be lost or stolen. If you work in a business which needs your employees to have different forms of identification then it is extremely important to invest in the right kind and quality of ID card holders as well. 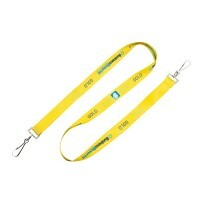 Going with a premier manufacturer of lanyards will give you many advantages. 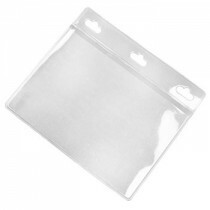 There are many reasons why these card holders can be beneficial. They provide a way for the card to be displayed and easily viewed, allowing the cards to stay in sight instead of having people store the cards in their pocket. 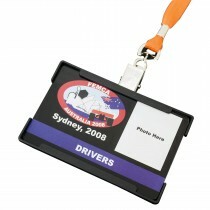 The card holders can be used along with reels or lanyards, or you might even incorporate the cards with an arm or wrist band. In order to choose the right ID card holders, you need to consider the way the cards will be used and the functionality that is needed for the card. Does the card have RFID components or a smart chip? 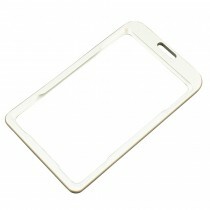 Then you need to make sure that the card holder doesn’t interfere with these features. 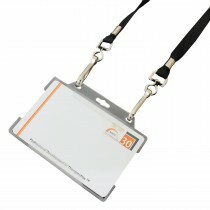 Are you looking for a way to keep ID badges or name badges visible at an event or in the workplace? 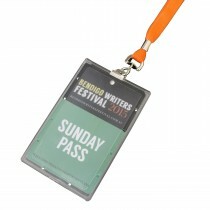 Then you should look for badge holders that make it easy to wear the badges without having them get in the way all the time. 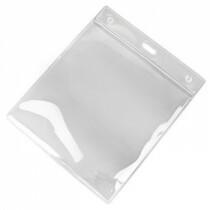 The cheapest card holders are basic, plastic sleeves, but you might choose something nicer such as a leather badge holder. 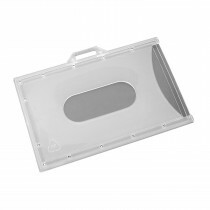 These item can be customized to match the branding of your company, and we can help you create the perfect design to have printed on the card holders. 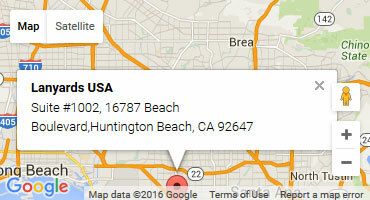 Contact us today, and we will help you with the ordering process. We offer a variety of products, sizes, and colors, allowing you to customize the card holders in any way that you can imagine! 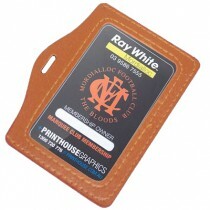 • The custom printing of your chosen ID card holder. 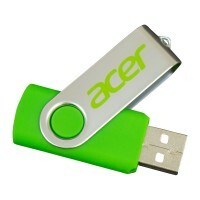 • A large range of holders that you can choose from. • The ability to fix different sizes of identification in different kinds of holders. 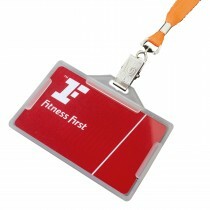 • Customization according to your requirement of colors, materials and even the matter that has to be printed on the ID card holder. 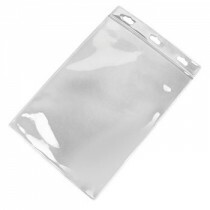 • Open or closed face ID holders. 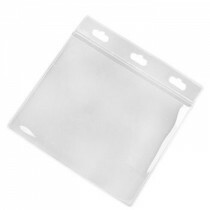 • Plastic or PVC card holders. 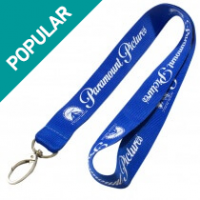 • Retractable badge pullers and so on. You will need to keep in mind that the choice of an ID card holder will depend on the nature of the identification that needs to be carried. For instance, if the identification card has an RFID component to it, then you will need to ensure that your ID card holder does not interfere with the same. If an employee is operating machinery of various kinds, then it would be useful and safe to opt for retractable badge pullers. 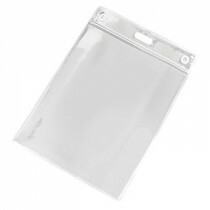 You can also choose from pocket friendly plastic sleeves to high end leather badge holders depending on the designation of the employee as well.